Friday afternoon (6-1-2018) Rescue 59 was dispatched for a vehicle accident with injuries on Jolee Drive in Lowe Swatara TWP. 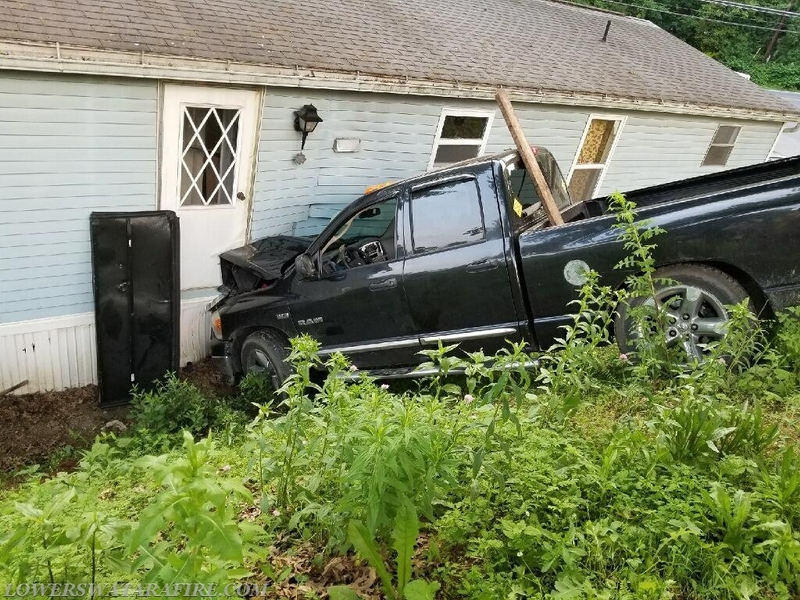 Rescue 59, Chief 59, and Chief 59-1 responded and arrived to find a pick-up truck down an embankment into a mobile home. The driver self extricated before the arrival of the units. Rescue 59 crew assisted EMS with packaging the patient and secured the vehicle. The utilities to the home were also secured due to being struck by the vehicle. Red Cross was notified to assist the homeowners with a place to stay.